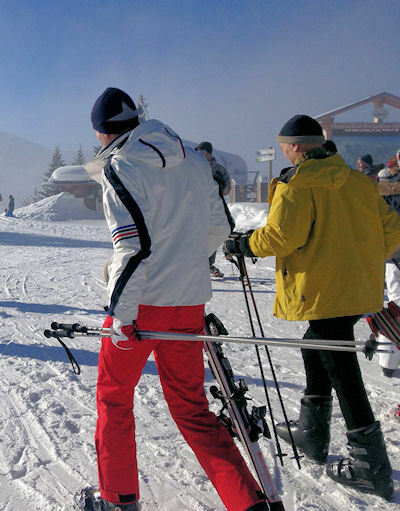 We can pre-order your ski passes in advance so that they are ready for you on arrival. No photos are required. In order for us to do this we will require payment in cash in euros in resort as we pay cash for the passes ourselves. If you would prefer to buy your own passes on arrival please let us know beforehand. The Megeve Evasion ski pass covers Megève, Rochebrune, Cote 2000, Mont d’Arbois, Jaillet, La Giettaz, Saint-Gervais, Saint-Nicolas de Véroce, Combloux and Les Contamines. Children aged 4 ski for free. There is a 10% discount for families (2 adults and 2 children) buying a family pass.